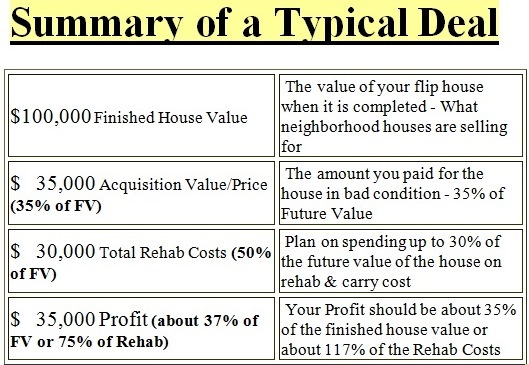 This is a quick and accurate way to estimate the cost to rehab a run down house. 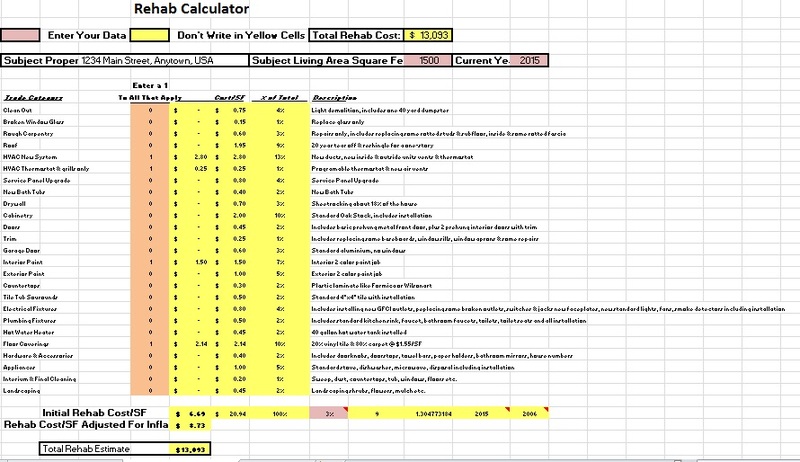 This program can be used on your computer or smartphone to provide accurate cost estimates. 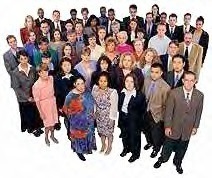 This program is automatically updated for inflation and can be used over and over again, year after year. To start all you enter is the current year and the living square footage of the house you are estimating. Then, as you tour the house, you put a number 1 in the column next to the item that needs work. You can use a paper checklist and then enter the info into your computer Excel program when you get back to the office or if you put the program on your smartphone, either Android or iphone and calculate the rehab cost right on site. We give you 25 possible areas to enter data to arrive at your rehab cost estimate along with complete operating instructions. The example shown is a 1,500 square foot house needing: new furnace with room grills or registers & thermostat, interior painting and carpet & vinyl flooring. The estimate for this work is $13,093. The screen shot below is made small to get it all in but the workable screen you will get is normal size and easy to read. 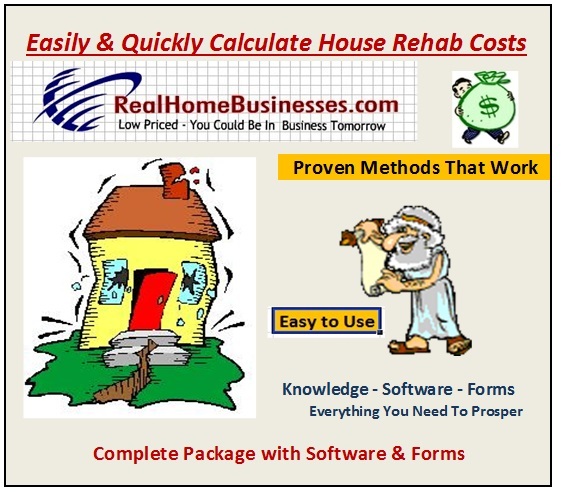 Run this simple Excel program to determine the amount of rehab expense you will incur to fix up a run down house - valid nationwide. Quick & Easy Way To Calculate Rehab Costs!!! !